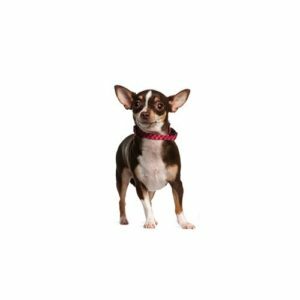 Graceful, alert and swift-moving with a saucy expression, the Chihuahua? ?is highly intelligent and should not be underestimated even though small in size. The breed can be any color ??? solid, marked or splashed and the coat may be long or short. These sassy little dogs are well known as “purse dogs” like the famous Bruiser in the movie? ?Legally Blonde? ?starring Reese Witherspoon. The Chihuahua?۪s history is shrouded in mystery, but some believe he originated from the Fennec Fox, a very small animal with big eyes and ears, which could explain the tiny frame, luminous eyes and large ears on the breed today. Chihuahua?۪s were used in religious ceremonies and were pets to the upper class. The breed derives its name from the Mexican State of Chihuahua, where the earliest specimens of the breed were found. The Chihuahua? ?is an? ?alert dog with terrier-like qualities. They are good with families if the children are gentle and patient. Because of their small size, they require little exercise and are good city dogs, but can be sensitive to cold temperatures. Smooth coated Chihuahuas need very little grooming due to their short hair. Long coats need occasional brushing but still require minimal grooming.